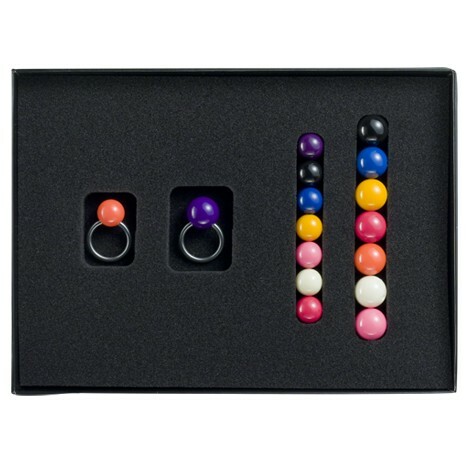 Set composed of two memory steel rings in 2.5 mm diameter wire, eight 12 mm Bakelite balls and eight 15 mm Bakelite balls. The set is available in even sizes, from 48 up to 60. Need help to change the beads?